Loyalty card reward programmes are a great way to encourage customers to come back to your shop. Especially paper cards that are stamped at time of purchase are easy to implement in your business as all they require is paper cards and stamps to mark them. 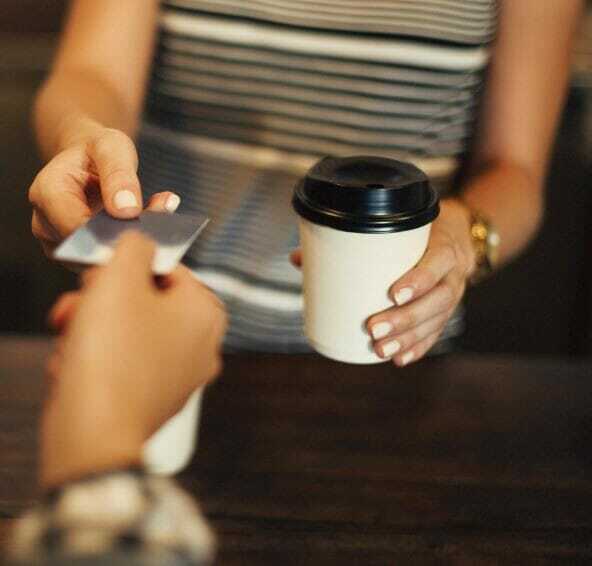 With these simple loyalty cards, there is no need for a software, coordinating between different sites or maintaining a customer database; all of these being necessary when opting for an electronic loyalty card. According to Nielsen, 72% of Europeans indicated that they are likely to shop at a retailer that offers a loyalty rewards programme. If you are implementing a new scheme or are looking to tweak your existing one, we have compiled a handy guide answering the most important questions about printed loyalty card reward programmes so you can steer some of those 72% to your business. What type of businesses are printed loyalty card reward schemes suited for? The scheme is well suited for any business in the hospitality trade. This includes coffee shops, restaurants, takeaway places, streetfood vendors and bars to name a few. But also other customer oriented businesses such as hair dressers, nail salons, car washing centres and pet groomers will benefit from a loyalty card reward scheme. How many people own loyalty cards? 89% of people in the UK own loyalty cards. This statistic shows how that UK consumers are open to the concept of loyalty cards and familiar with how they work to claim their rewards. If the loyalty cards are offered to your customers, this statistic suggests that they will be likely to try the scheme out. What type of rewards should be offered? The most popular reward for customers according to Nielsen are discounted or free products. In Europe, this type of reward received a whooping 82% of the votes. This scheme can easily be implemented with printed loyalty cards and stamps. Let's look at the example of a coffee shop: all the customers need to do to receive their 10th coffee on the house is to collect 9 stamps on their card. This provides a great incentive to return to the same coffee shop for their daily caffeine fix on their way to work. What type of design should the cards have? Not only are there no limits to your creativity when designing the card, this is also a great way to promote brand awareness. You could design your card using your business colours and even bring your key message across. In terms of size, it would be good if they are about the size of a regular bank card so that they can easily fit into your customer's wallet. What type of stamps should be used? Small, lightweight stamps are perfectly suited to be used on loyalty cards. They can be kept by the counter without taking up a lot of space. Self-inking stamps are best suited as these don't require a separate ink pad and are therefore easier and quicker to use. Stamps4u's loyalty card stamps meet all of these requirements and are available in different sizes to suit all cards regardless of the design. A range of ink colours is available to create colourful impressions. When customising your stamp, you can choose between editable pre-existing templates and uploading your own artwork to create an impression that is unique for your company and your loyalty card. All loyalty card stamps offered on stamps4u will last a lifetime. Replacement ink-pads are available so that it is unnessary to buy a new stamp when the ink runs out and it also offers the opportunity to choose different coloured ink-pads.